Siftea Balanced sifter is a well proven machine for sifting the Kutcha tea. It serves as a feeder for Rotorvane and CTC machines and also the Sennova processor. The machine is fitted with a stainless steel perforated tray. Tea fed onto the tray moves in a series of hops therby sifting , cooling & breaking the 'balls' in tea. Hopper opening is adjustable. Oscillating arms are fitted with silent needle roller bearings making the machine noiseless and vibration free. Frequent replacement of silent block bushes is avoided. Perfect surface - easy to scrape and clean. Last more than three times the rubber belts. No roll back, no ball formation - even fermenting and firing. Kaizen ensures bacteria free operating conditions. Reduced slope of conveyors; no ball formation & roll back. Inclined side-plates and guards for effective spill proofing. 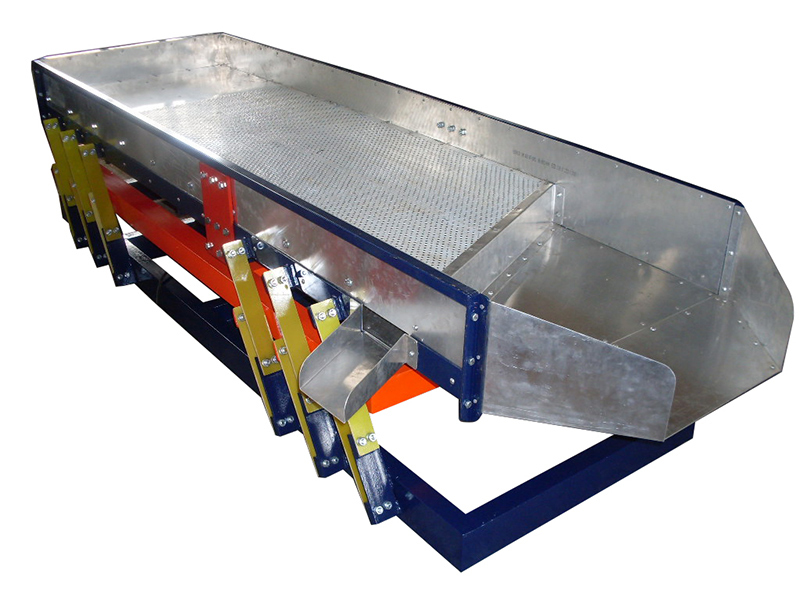 Full length skid plates to prevent leaf entry inside conveyor belts. Provides better access for maintenance. Easier roller setting and mesh adjustment. A centrally controlled water jet system is provided for quick and easy cleaning of the machine. Saves man power and downtime for cleaning. Specially important during rush crop season. Positive drive - no belt slippage problems.